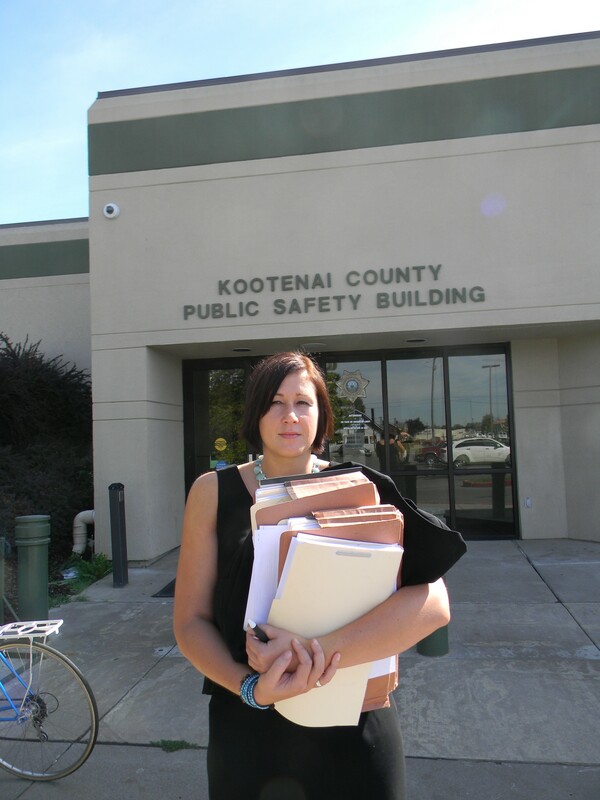 Lisa Chesebro, a Kootenai County public defender, has caseloads well above national standards. The U.S. Department of Justice has a filed a brief in a court case that could establish new standards and funding for Idaho’s public defender system. The brief, filed in Idaho Supreme Court earlier this week, reiterates the federal government’s position that people charged with crimes and can’t afford a lawyer don’t have to wait until they’re convicted to bring a civil lawsuit under the Sixth Amendment, which ensures the right to fair trial. The brief also states that bringing this sort of lawsuit, rather than one based on an individual's lawyer's competence, is the only way to bring about system-wide changes. Last year, the American Civil Liberties Union of Idaho sued the state of Idaho, arguing that the lack of standards and funding for its public defense system, administered by its 44 counties, is so inadequate that it violates both the Idaho and and U.S. constitutions’ guarantees to the right to a lawyer for indigent defendants. Although the lawsuit was dismissed earlier this year and the state legislature increased funding public defense, the ACLU is taking its case to Idaho Supreme Court. 25 ideas for "Inlander Dude II: Diddy Kong's Quest"